SITUATED - The Osaba restaurant is just 50m from the Rue de Rennes, 100m from the Cheap and also 400m from Montparnasse, making it a perfect location. 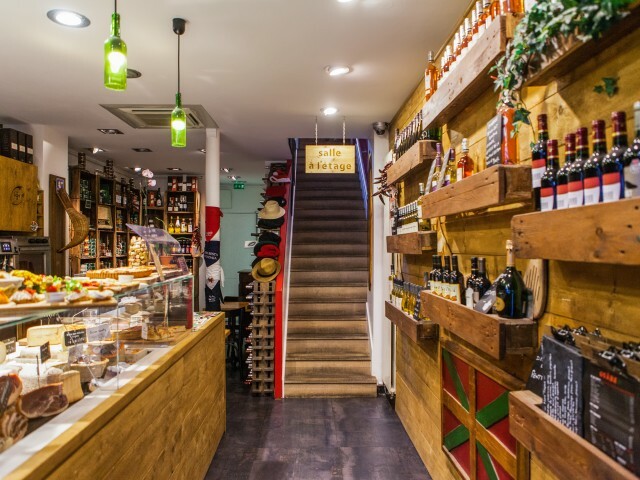 SPECIALTIES BASQUE - This restaurant is a 100% Basque delicatessen. It offers plates of cold cuts and cheese quality only from providers of Aldudes valley in the Basque country. Varied tapas and from the restaurant deli taste, especially with their wine cellar Irouleguy. At lunch, choose from sandwich with formulas as the main ingredients hams, salamis, cheeses from sheep or goat. DECORATIVE VINTAGE - The decor here is rustic, with lots of warm wood, and warm like home.